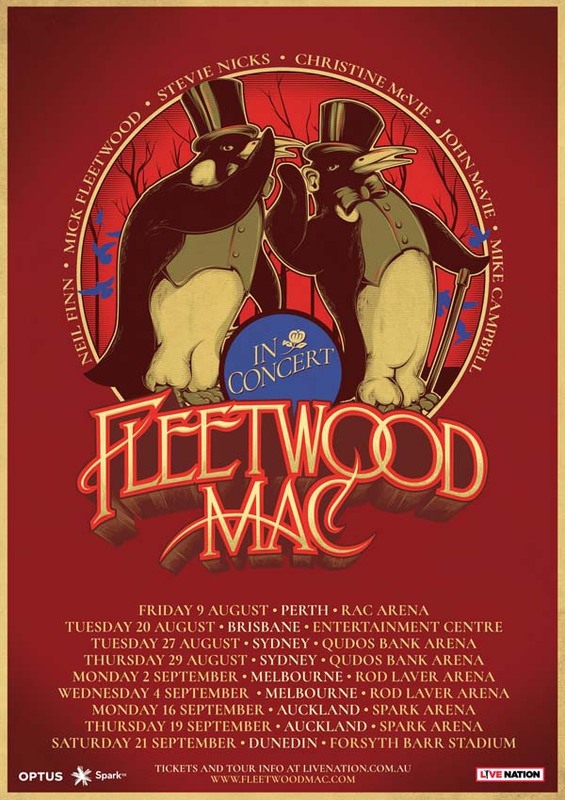 Legendary, Grammy-award winning Fleetwood Mac today announce their Australian tour, set to kick off on Friday 9th August in Perth and taking in Brisbane, Sydney and concluding with two shows in Melbourne. The tour will feature the new line-up of Mick Fleetwood, John McVie, Stevie Nicks and Christine McVie along with newcomers Mike Campbell and Neil Finn, following the band’s 50+ city North American tour. A limited number of LaneOne Premium Packages will also be available, including amazing seats with premium benefits such as transportation, preferred entrance and more.